Perhaps I have super hero envy or maybe I just like looking like an extra on a Sherlock Holmes movie set, but either way I just love a cape! I cannot say that my significant other likes them on me ("are you TRYING to look like an action figure? "), but the old adage that "women dress for themselves" definitely applies to me in this case. 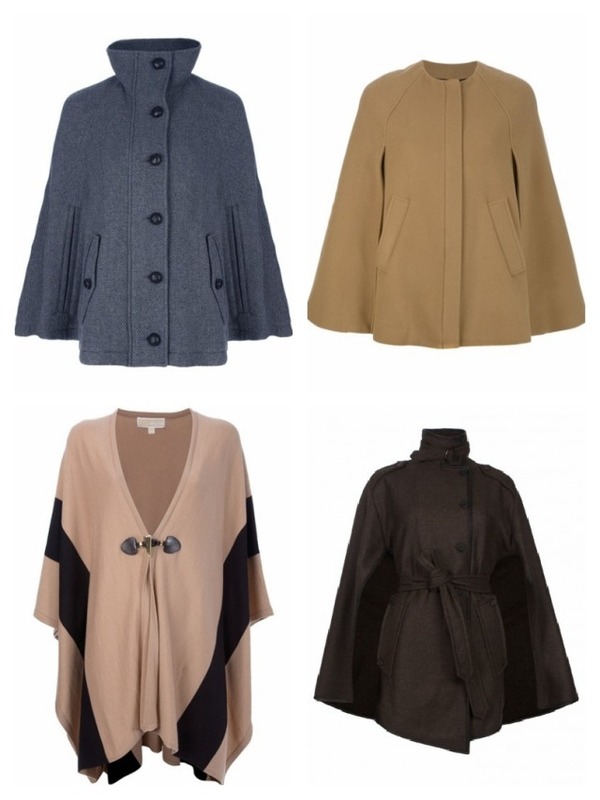 I adore the shape, the style, the versatile pairings - what is there not to love??? It goes great with skinny jeans and a turtleneck, a sweater dress and boots, flare jeans and platforms - the list could go on and on and on. Regardless of the throwback persona or obvious connection to some crime fighting characters, the cape is the most chic way to brave the crisp Fall air without succumbing totally to a coat. And we have all been trapped in our coat, on top of a thick sweater, on top of a blouse with limited mobility that resembles A Christmas Story's Ralphie's wailing sentiment "I can't put my arms doowwwwnnnn" and thought - there has to be a better way! Well there is - the cape! Duh. Arms free, warm body and fabulous look. Here are some of my cape cravings I have spotted in my online travels - and felt they were too good not to share. Which one is your favorite? And more importantly which one will you be getting me? Just kidding....sorta. I love capes, and ponchos. They can make you look very elegant. I totally agree! They are one of my favorite fall pieces.